You tend to see myriads of posts and articles related to the best brokers for small Forex traders, but finding a good institutional Forex broker for large accounts is equally as difficult as the former. Since the average retail trader is starting up with small capital, finding good guidance is troublesome for bigger investors who need large account Forex brokers. However, it is time to fix that issue right now. When Do You Need Large Account Forex Brokers? This is subjective, yet it is important to determine what we will use as a “large account” for the purpose of this article. It can be considered as “large” any account funded with more than $10,000 USD. Not only is this beyond the VIP account for many brokers, but it also grants you access to exceptional trade sizes when paired with leverage. Additionally, large account Forex brokers are a necessity if you plan on depositing this amount (or more) in a gradual way. That is, a large account also occurs when your overall funding plan (in parts) meets or exceeds this sum. The reason why this quantity requires a special Forex broker is that the risk becomes greater than with accounts funded with $1,000 or less. You become much more paranoid as your funds increase. With that in mind, anyone willing to invest $10,000 or more will also expect the best possible performance in the market, and that is a feature belonging to a handful of brokers. What Makes A Good Forex Broker For Large Accounts? There are not many traders who own such amounts of money for an initial investment, so you need to be aware of what that makes you; you must expect excellency from anything handling that money. First, you need the ability to choose an account that can guarantee the best features and tools for the standard your investment demands. Most Forex brokers offer better add-ons as your initial deposit increases, so you should be able to take full advantage in the moment you open an account. Since keeping that money safe is a priority, most large traders will opt for licensed Institutional Forex brokers. We cannot judge you for preferring unregulated brokers as long as you know what you are doing, but regulated brokers are required to have measures for safeguarding your investment in case of an emergency. Keep yourself informed about any broker you choose. Another important feature to look for is the platform they offer. Market maker are unlikely to be good large account Forex brokers due to how they compete against the trader, so it is much better to go with ECN or similar brokers that let you trade against the market and not the broker. A large account makes you able to deal with large institutions, and you should! Last but not least, account segregation can be a fundamental advantage and safety measure when it comes to broker features for large accounts. However, this can be a somewhat rare feature even among the best brokers, so it should not be prioritized. Which Are The Best Institutional Forex Brokers For Large Investors? The following brokers fulfill—at least—most of the requirements listed above, so feel free to choose one among our favorites! MT Cook Financial, one of the institutional Forex brokers for large investors, and you may say that it is catered exclusively for large accounts, as the minimum deposit is in the $1,000–$5,000 range. 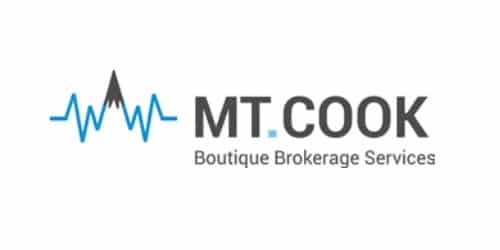 Regarding the requirements, the most important part about Mt Cook Financial is that it is a Straight Through Processing (STP) broker, which means that liquidity comes from the market itself—as you should remember, no market makers allowed! What about regulations? Mt Cook Financial is regulated by the ASIC in Australia, FSC in Vanuatu, and the FSB in South Africa. The accounts offered allow for less than a pip for each lot, and the leverage is not overly high—yet it can be increased for some cases. The platform offered is MetaTrader 4, which virtually every trader knows, and their own PAM with DMA and ECN for liquidity. EU and US clients can access customer support through their phones, and all other traders have email and live chat for options. FP Market is the second broker risen as an “opposition” to the popular market makers that spearheaded the CFD insertion in Australia. The result is FP Markets, the longest running DMA broker of the region, so that is another check for the list of requirements. While they do not have their own platform, they offer MT4 and IRESS for their customers, with access to several global exchanges and trading instruments. Both platforms are also available iOS, Android, and Mac—the last being a strong point in the Forex market. As for our search of institutional Forex brokers for large accounts, FP Markets has a minimum deposit of $1,000 for their Professional account, with Platinum and Premier opening for $25,000 and $50,000 respectively. Each account gradually offers less commissions and fees to the point where Premier users pay virtually nothing. 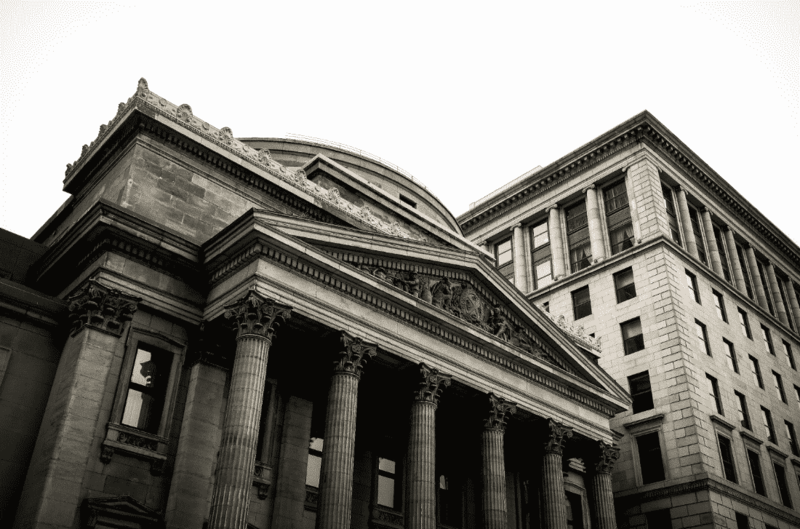 The broker is regulated by the ASIC, with client funds stored in the National Australian Bank and dealt according to the nation’s financial standards. IC Markets was also founded in Australia, making it regulated by the ASIC, and it has grown exponentially as time progresses, with many users today proving their effectiveness. The broker offers a quantity of trading platforms to suit every trader, with MT4 and 5 as well as cTrader. Clients can trade over 60 Forex pairs and several CFDs, from metals to cryptocurrencies. Copy trading is also available with the famous ZuluTrade. All platforms include a mobile version. Trading accounts are equal in pricing, for they differentiate by offering different commission and fees as well as which platform is accessed. The idea is not to divide users by initial deposit but by trading styles. Lastly, customer service is efficient, with connection times not reaching a full minute (for phone users). ← Is Forex Trading Gambling?